I don't know what came over me to try the new Pro Longwear SPF10 Foundation ($29.50) from MAC. I guess I wanted to burry the hatchet and give MAC foundations another chance. I chose Pro Longwear because from the reviews I read online, it provided full coverage and it contained an SPF of 10. I went to my nearby MAC counter and I honestly decided to just match myself. I am not a fan of being color matched by the artists at the counters because I often find that they don't really properly match me. They often give me colors that are way too dark for my skin tone. Surprisingly, I did a good job matching myself. The shade NC25 was a perfect match! Most MAC foundations run on the orange side. I was very happy to find out that NC25 is not orange at all on me. In fact, I find that it has a great amount of yellow in it, which is perfect for me seeing as I have yellow undertones to my skin. 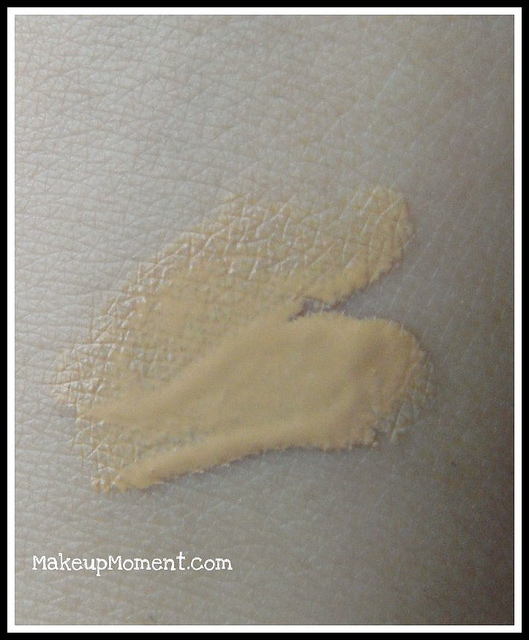 I have read other reviews stating that the Pro Longwear foundations run on the yellow side. I don't know if this is true for all of the shades of Pro Longwear, but NC25 is definitely on the yellow spectrum. 1. I apply this foundation using my Handi Buki Brush ($20.00) from Bare Escentuals. I find that about 1 pump and a half of the foundation is enough to cover my whole face. It blends easily into my skin and matches my neck perfectly so I don't get that line of demarcation some foundations can give. Although I will suggest applying this foundation in sections, and working on one part of the face at a time as it sets pretty quick. 2. Coverage-wise, I find that this foundation does not completely offer full coverage. I still see a bit of acne scarring and other flaws on my face, but it does blur them out nicely making my skin appear much more even. I would say this foundation provides a medium build-able coverage. 3. The fact that this foundation is more on the yellow side is fabulous for helping to conceal redness on the skin. In the morning sometimes my face is uneven, red, and blotchy. Just by applying this foundation I find that the redness is completely gone and my skin is much more even toned. 5. The finish provided is more of a semi-matte finish. If you are looking for a dewy finish, you won't find it with Pro Longwear. But the matte finish is very nice and natural looking. Definitely not a dry skin matte. 6. After I apply the foundation I do feel a bit of tackiness on my skin, but it is nothing that some loose setting powder can't remedy. 1. 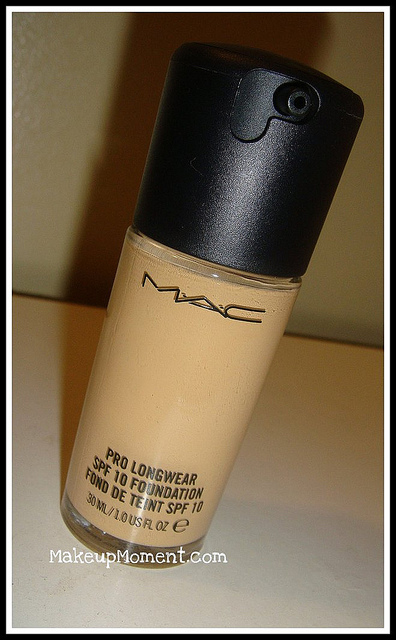 MAC was not kidding around when they decided to name this foundation Pro Longwear! I wear this foundation everyday for school, and it truly does last all day on my face. The great thing is that it stays looking just the same as when I apply it in the morning. Amazing! 2. Love that there is a pump on this foundation which allows you to dispense the perfect amount of product. 5. Did not break me out, YAY! 6. Helps control my oily T-Zone area. I still get oily the most on my nose. But not as much as I would have if I used another foundation. 7. Love the semi-matte finish. Looks really natural on my skin. 8. There is no offensive scent to this foundation. There is a tiny chemical smell to it, but it dissipates rather quickly once it is blended onto the skin. 1. I have been using this foundation every day I go out, but although this foundation did not break me out, I feel that if I use it everyday it takes a toll on my skin. Almost as if my skin needed to breathe a bit. I guess I should take it easy seeing as this foundation is a bit heavy on my skin. I have decided that I am not going to use this foundation everyday. Instead I will just apply a tinted moisturizer and something light-weight that feels light on the skin. 2. Price may be a bit steep, but I am sure this foundation will last a long time. I have had this foundation for a month and I am not even half-way done yet. 3. If your skin is on the dry and flaky side, i would recommend you moisturize really well as this foundation can enhance dryness and flakiness. I really like this new foundation from MAC and I hope they don't ever discontinue it, and I will repurchase when I run out. I am happy to know that not ALL MAC foundations are horrible for my skin. Since I had a good experience with Pro Longwear, I am definitely open to trying other foundations from MAC. I may want to try the Face and Body Foundation next. Any thoughts on that one? Is it any good? Disclaimer: I am not affiliated with any of the companies mentioned above. 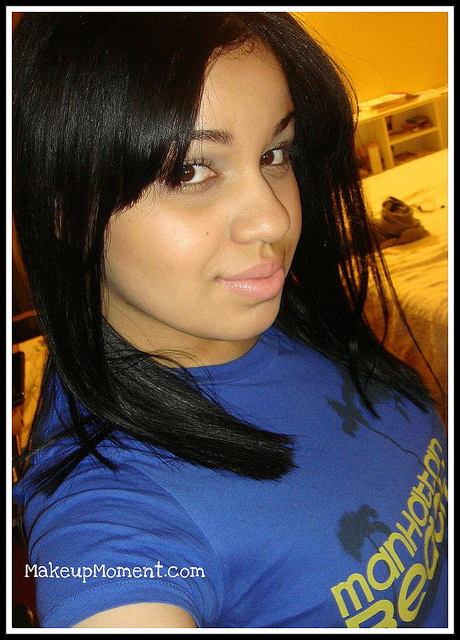 The products mentioned in this post are from my personal collection for my personal use only. Thanks so much! I've been thinking bout buying it for so long, but after reading your review, I think I'm going to buy it. Did your skin get drier when you used it too often? Your very welcome Miss :) I am glad my review was helpful. I did notice my skin getting a little bit drier, and a bit dull-looking if I used it constantly single day like I used to when I first got it. That is why I give my skin a break sometimes and use another foundation or a tinted moisturizer. But nonetheless, I do LOVE this foundation, but just make sure you moisturize pretty well prior to applying this foundation so none of the dry spots or flakes peek through.